There are many ways in which you can make your home look and feel amazing, however many people have the misconceived idea that to enhance your home, you must add items. This ideology is not always true; often you can achieve the perfect home by simply re-organising the items that already exist or by decluttering. Not only will your home look better but your lifestyle will also change for the better. The process of decluttering allows you to only present and keep items in your home, that have true meaning and affect. Most of us by now have heard of Marie Kondo and either read her book or watched her Netflix series. 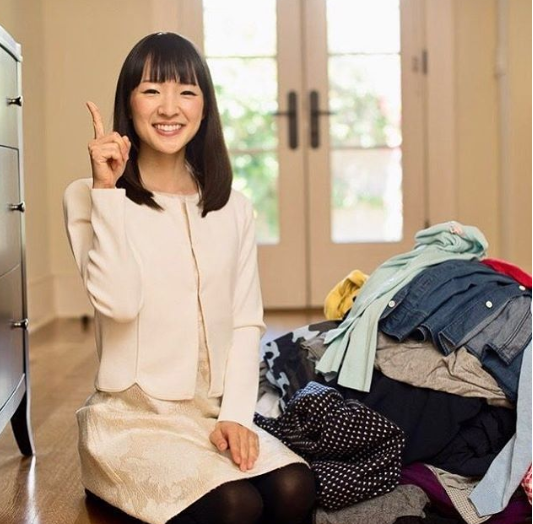 To give a bit of background, Marie Kondo is a Japanese organising consultant/specialist. 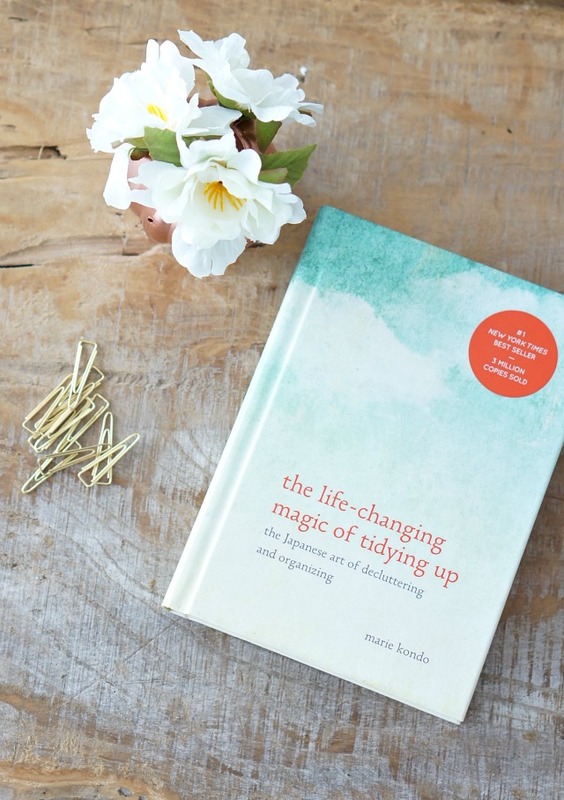 Kondo’s mission is to ‘help more people tidy their spaces by choosing joy, and we are committed to developing the simplest and most effective tools to help you get there’ and she believes that you can achieve this lifestyle through the ‘KonMari Method’. 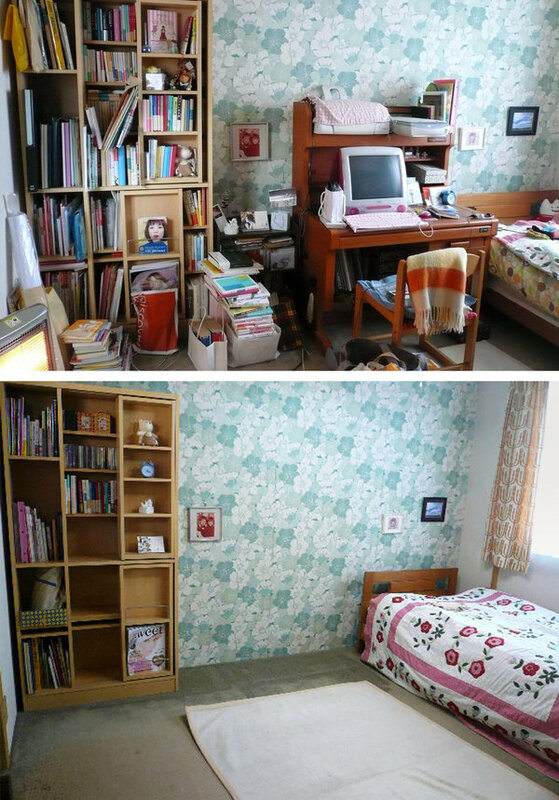 Traditionally people often choose to tidy and declutter their items by going through their house, room by room. Often you never finish and can never organise items in the most minimal and simplistic manner possible. On the other hand, the ‘KonMari Method’ proposes that instead, we should organise our belongings by category, Kondo proposes 5 categories; Clothing, Books, Paper, Komono (miscellaneous items) and finally, Sentimental items. This philosophy for tidying is so effective, as it not only impacts and betters your home; but it also addresses your wellbeing, by making your home a serene and inspiring space to be in. To follow the ‘KonMari Method’ there are 6 simple rules, firstly you must ‘Commit yourself to tidying up’, followed by ‘Imagining your ideal lifestyle’, thirdly ‘Finish discarding first’ and the fourth stage is the key step ‘Tidy by category, not location’. The final two steps are to simply ‘Follow the right order’ and to ‘Ask yourself if it sparks joy.’ To understand whether a belonging ‘Sparks Joy’ you must hold and feel an item and keep only the items that bring/spark joy to your heart, if an item no longer sparks joy you must thank them for their service and then discard of them. This process will make you face your sense of values, leading to a developed sense of mindfulness and optimism. When you are on this journey, the final aim of this process is to have a house full of items that spark joy!